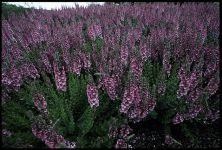 Herbaceous perennials from a heavy taproot and short, thick rhizomes, the stems 5-15 dm. tall, hollow, glabrous, and purplish-tinged, as also the stipules, petioles and calyces. Leaves alternate, palmately veined, the lower rotund and cordate, shallowly lobed, the lobes with rounded teeth; the upper leaves deeply 5-parted, the lobes oblong, with irregular, terminal teeth. Inflorescence of congested, spikelike, compound racemes; calyx 5 lobed, 8-12 mm. 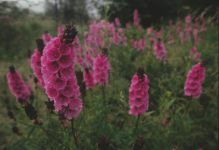 long, enlarging in fruit, the lobes with marginal hairs; petals 5, deep pink, clawed, broadly obcordate and shallowly notched; stamens 40-70, freed from the staminal tube in 2-3 series, the stamens united in groups; ovary superior, the carpels 5-10 in a ring around a central axis; styles equal to the number of carpels, elongate, stigmatic full length. Publication: Proceedings of the American Academy of Arts and Sciences 23(2): 262. 1888. 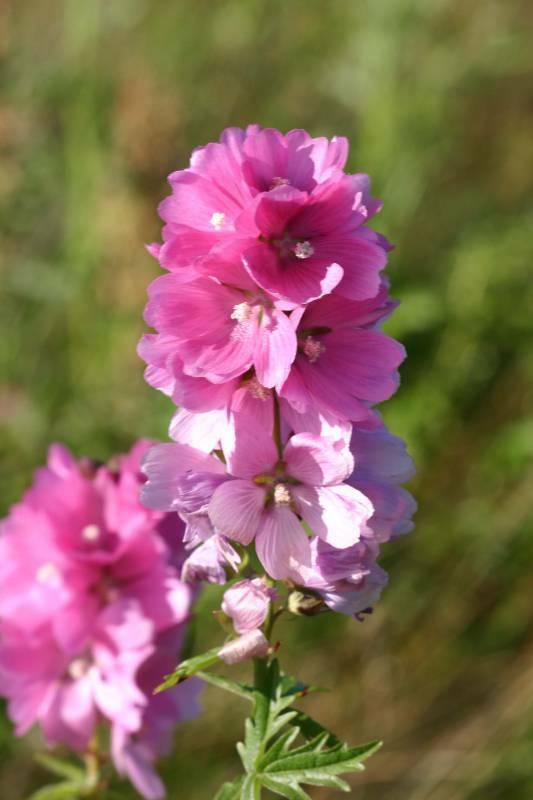 PNW Herbaria: Specimen records of Sidalcea hendersonii in the Consortium of Pacific Northwest Herbaria database. 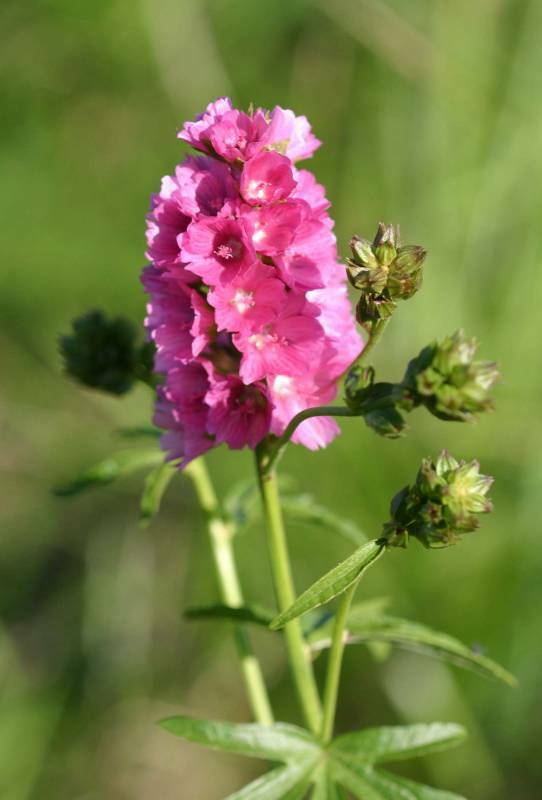 WA Flora Checklist: Sidalcea hendersonii checklist entry. E-Flora BC: Sidalcea hendersonii atlas page. 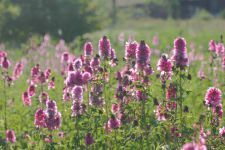 USDA Plants: Sidalcea hendersonii information.